I haven’t updated this in a while but before I do my thank you post for The Big House 6 & a full ruleset release for Genesis 4, I figured I’d make sure to list out the controllers allowed for Genesis 4 for Smash 4 Wii U as I have had many ask. Turn the Wii U console power off and disconnect the USB cable if it is connected to the controller. Use a crosshead style, size #00 screwdriver to avoid damage to the screw or threads. Do not use any battery other than the Wii U Pro Controller rechargeable battery, model No. CTR-003. Loosen the screw and remove the battery cover. The battery cover is designed so the screw can be loosened, but not fully removed. 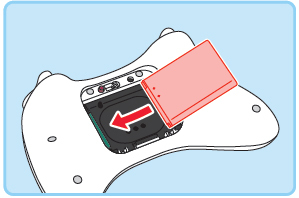 Remove the battery by inserting the stylus from the Wii U GamePad under the battery and gently lifting the edge. After 10 seconds, insert the new battery from the right. Replace the battery cover and tighten the screw, being careful not to over tighten it. Hope to see many of you at Genesis 4! We are less than 100 days away! Register today at smash.gg/4!